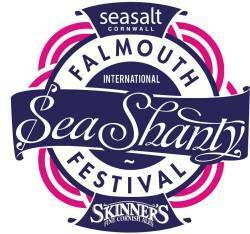 One of the largest maritime festivals in Europe and we’re delighted to be part of it for a second year. We’ll be there the whole weekend so we probably won’t be able to talk (or walk!) on the Monday! If you’ve never been, make the effort – it’s an amazing atmosphere across the town. Our first spot is 5.40pm on the Friday on the Skinners Stage in the Events Square just before the Opening Ceremony and after that, you’ll need to check the programme.